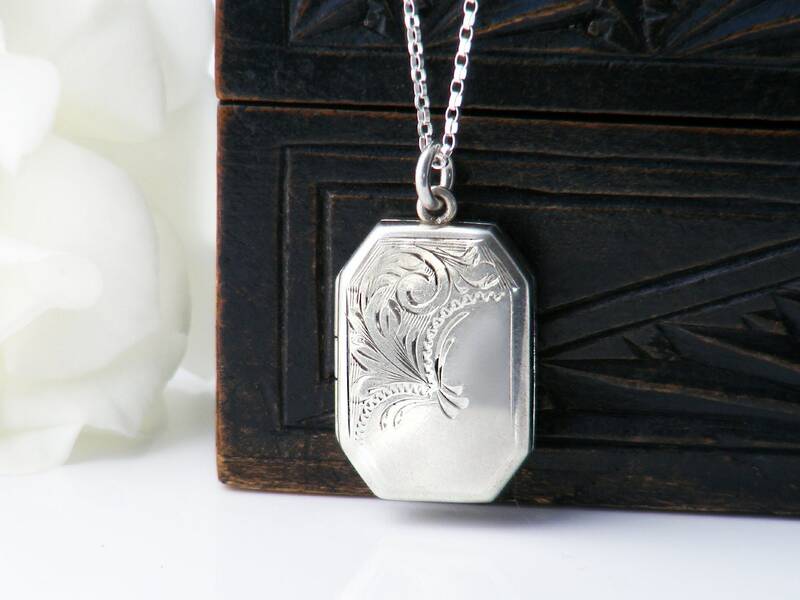 A vintage sterling silver locket that is hand chased with a pretty leafy scroll design across the front. 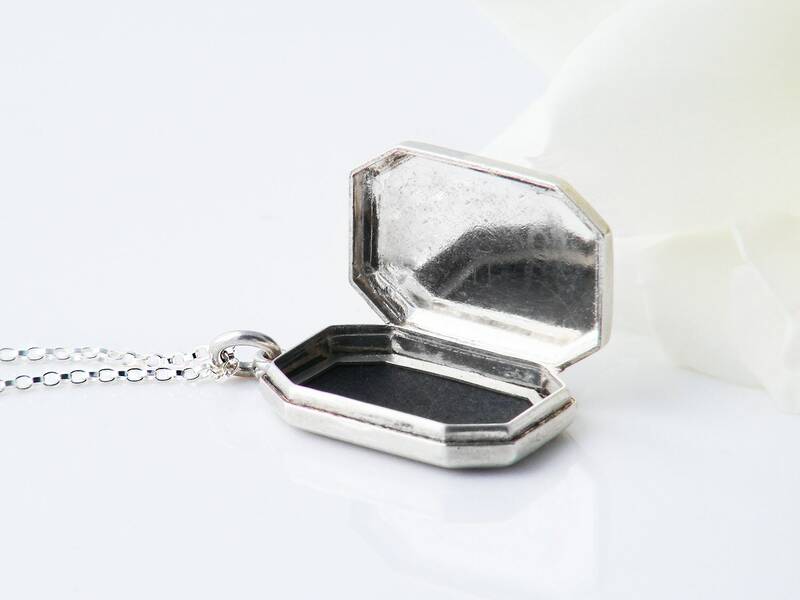 The polished rectangular shaped locket has attractive chamfered corners - together with the engraving this gives very nice shimmer with light change and movement. 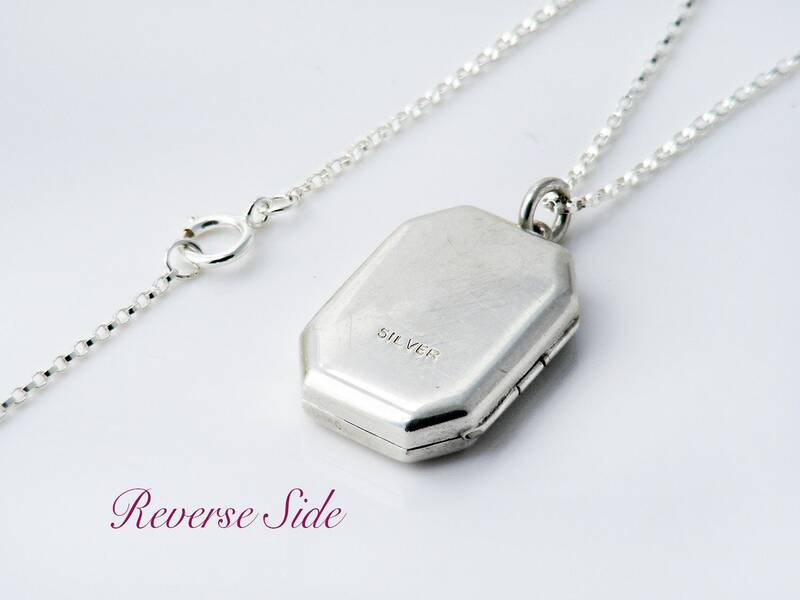 Sterling silver, stamped 'SILVER' to the smooth reverse side. An original photo frame is in place with new black card backing paper. 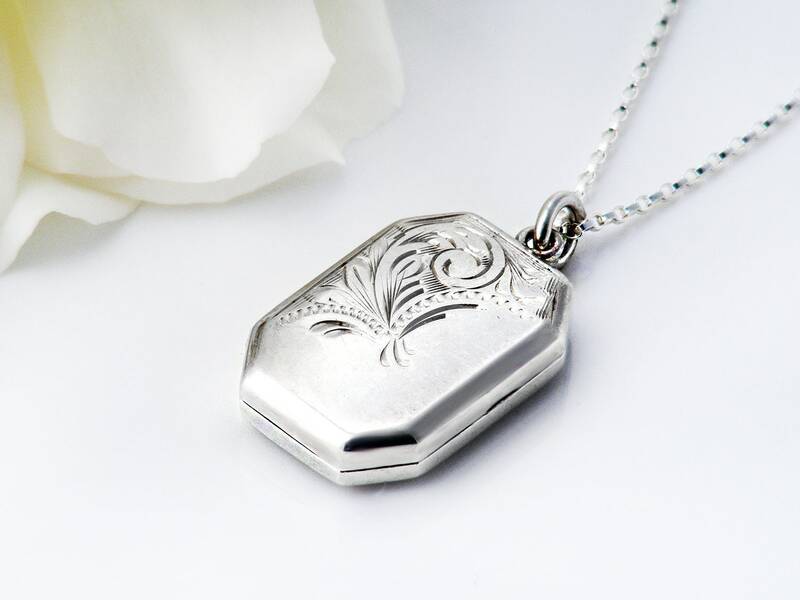 The locket hinges down the left hand side in book locket style. Size: .6 x .85 inches or 16 x 22mm in size with a slim profile of 4mm. Presented on a new 20 inch or 51cm sterling silver chain, stamped 925 to the clasp. Shown on a life size torso in image 4. Condition: Very, very good. Mild surface wear, no dings or nasty scratches, closure and hinge working as they should. Smooth and very nice to handle. Nicely designed with an understated touch. 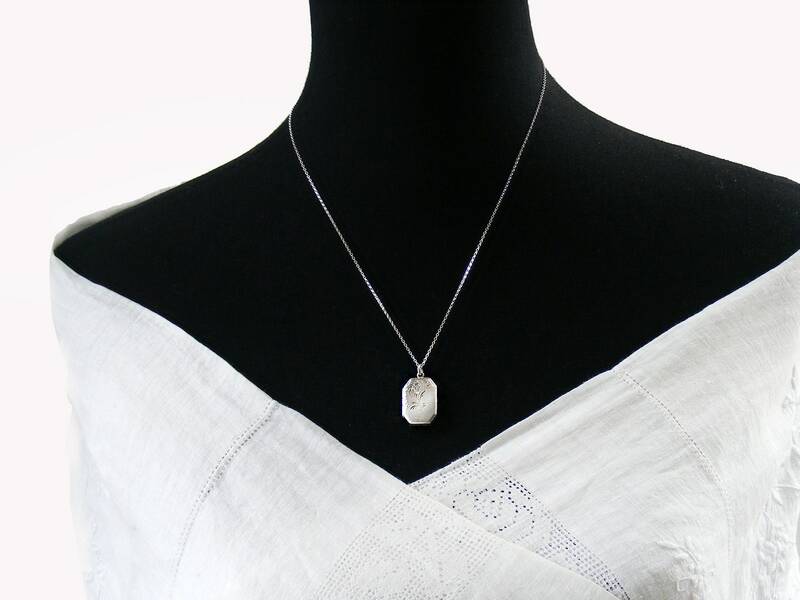 A simple and lovely locket.